As a result, even on the official forecasts, unemployment is expected to remain persistently high; over 2.5 million for the next couple of years. 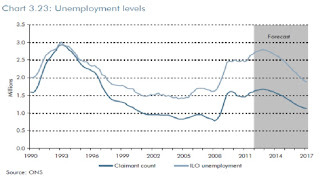 With the official estimate of "structural" unemployment only about 1.6 million, this means that the number of people out of work because of macroeconomic factors - and who could potentially be put back to work by sensible macroeconomic policies - will remain close to a million for that period. 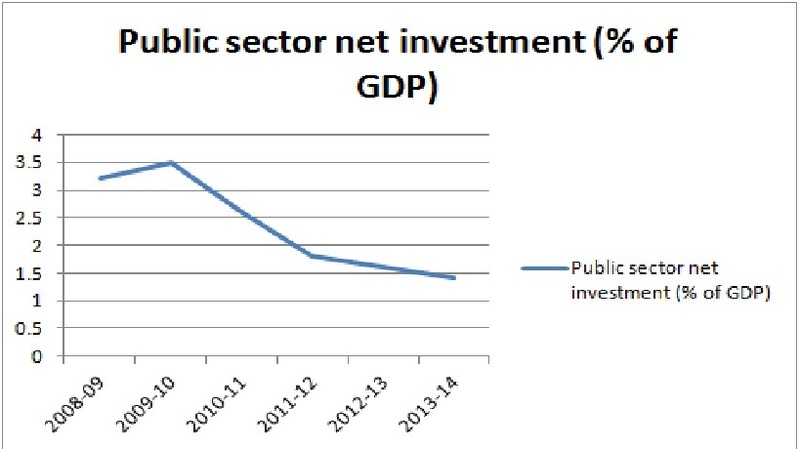 Meanwhile, public sector net investment - spending on building roads, schools and hospitals - has been cut by about half over the last three years, and will be cut even further over the next two. 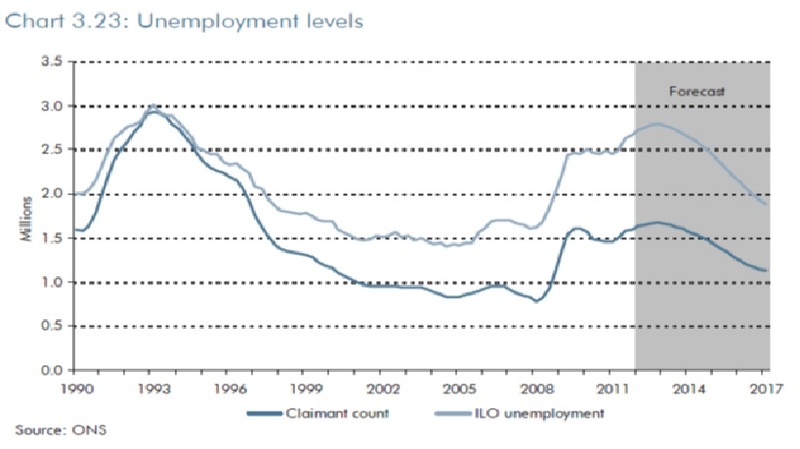 Hardly surprising that the construction sector has been a heavy drag on output and jobs recently. 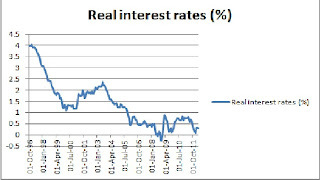 But, at the same time, the cost to the government of borrowing money - the real interest rate on gilts - is at historically low levels. Not to put too fine a point on it, the government can borrow money for basically nothing. 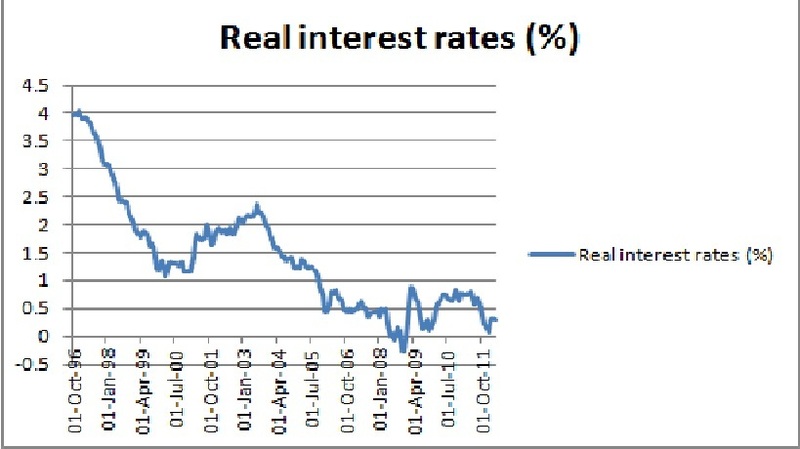 This is not a theoretical construct either - these real rates of interest are based on actual market prices for index-linked gilts. The last index-linked gilt was auctioned at a real yield of less than 0.5%. What does this mean in practice? 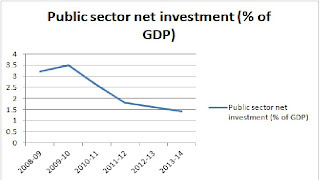 It means that if the government were, as I suggest, to fund a £30 billion (2% of GDP) investment programme, and fund it by borrowing through issuing long-term index-linked gilts, the cost to taxpayers - the interest on those gilts - would be something like £150 million a year. To put this in perspective, it's roughly the revenue the OBR estimates will be raised by the "loophole-closing VAT measures" in the last Budget. In other words, we could fund a massive job-creating infrastructure programme with the pasty tax. Twenty, or fifty, years from now, economic historians will look back at the decisions we are taking now. I cannot imagine that they will be anything but incredulous and horrified that - presented with these charts and figures - policymakers did nothing, international organisations staffed with professional economists encouraged them in their inaction, and commentators and academic economists (thankfully, few in the UK) came up with ever more tortuous justifications. In Simon Wren-Lewis' words, they will ask why "a large section of the profession, and the majority of policymakers, appeared to ignore what mainstream macro [and, I would add ,basic common sense] tells us". Their judgement will be harsh.